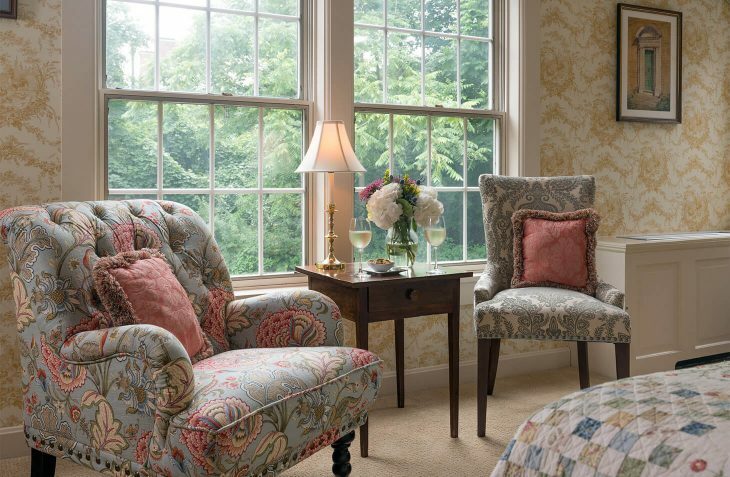 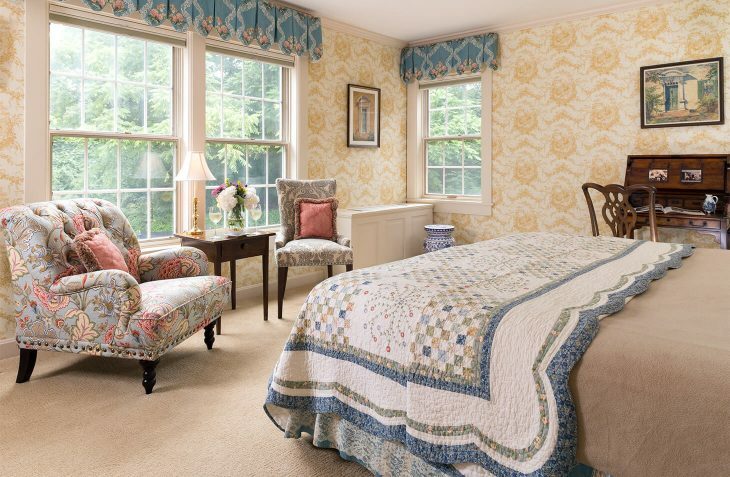 These individually decorated rooms in our Deerfield bed and breakfast offer period antiques and comfy reading chairs for a warm and cozy feel. 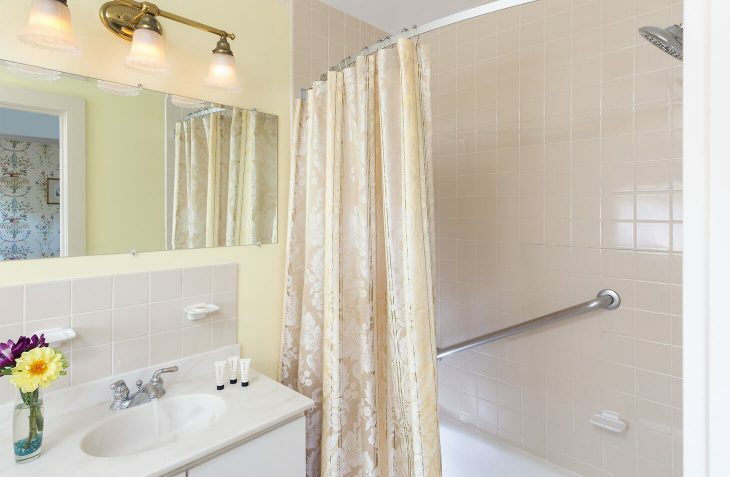 They all have a private bath with tub and shower, except for one that has a super Jacuzzi shower. 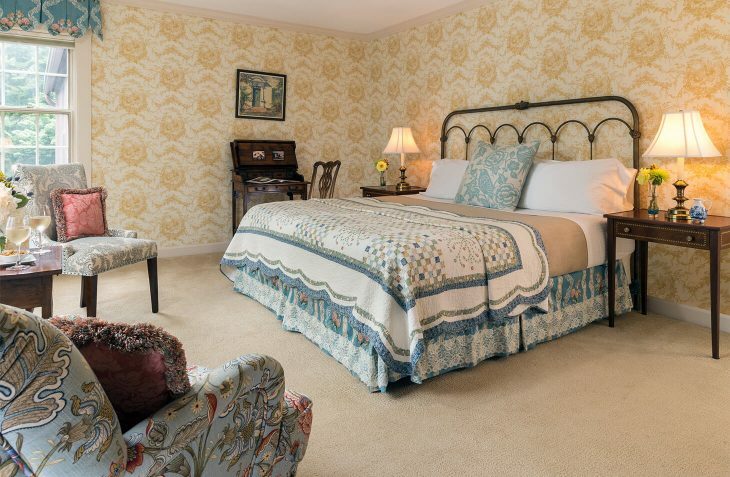 These king-bedded rooms are best suited for two guests, making them perfect for a romantic getaway in MA.